A Trendy Life. 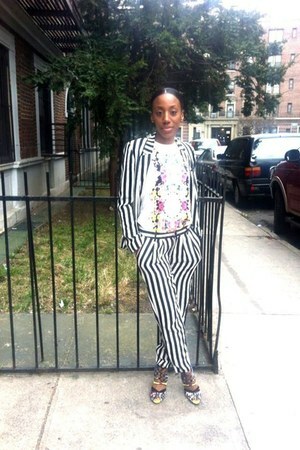 : Styling Black & White Vertical Striped Pants. The No.1 trend of this Spring & Summer is Black & White Stripes. And I personally like the Black & White Vertical Striped Pants more than any other pieces designed using this print. Black & White Vertical Striped Pants. Though it sounds complex and tricky to pull off,It is actually quite easy to style it.You can create lots of completely different looks using this one piece. Now We will look at the different looks we can create with these pants. First we will start from the basics.When ever we wear a print, we tend to pair it with something plain. Some colour as same as in the print. Sticking to that rule, we can always pair it with Black or White top. You can add a blazer to get an Office Chic look.This is a best opportunity to stop wearing your boring Black,Blue & Grey Pants and rock some prints for your office. The good side of it is,Not only you can use your Black or White Blazers, But you can upgrade your wardrobe with a black & white striped blazer also. You can pair these pants with almost all the colours,But be careful with the right tones.It looks better with Bold & Pastel colours. When it comes pairing with other prints,I personally feel it is always safe to pair it with black & white prints. 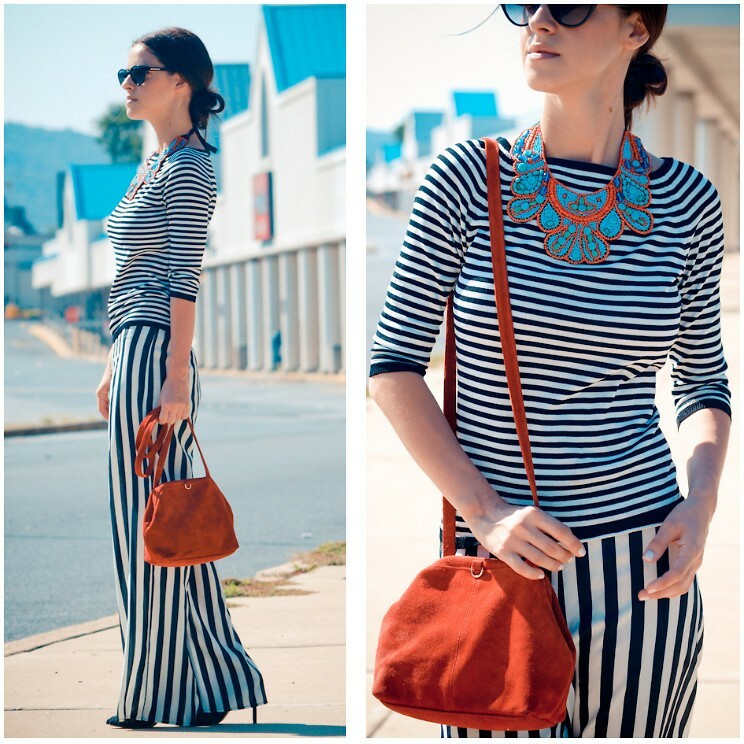 Pairing with bold colour prints takes away the chic look of black and white striped pants.I would say Don't do it. DON"T pair with bold colour prints. Graphic words & Imaged T-Shirts are becoming a trend these days and pairing them with black and white vertical striped pants gives you a very causal look. Find some of my other favourite pairings using these pants here on my Facebook Page. These are some of my favourite pairings using black & white vertical striped pants. Remember! It is always good to know the rules but fun to break some. I love these leggings soooo much! i personally love black and white striped leggings so much. Cause its look so stylist and comfortable than other pants. Ooh! I wish there were workout leggings like this. It would be so much cooler than normal ones. I go to the gym every day and I probably think I have become a fitness freak. This was a great blog. I liked each and every pant shown here.